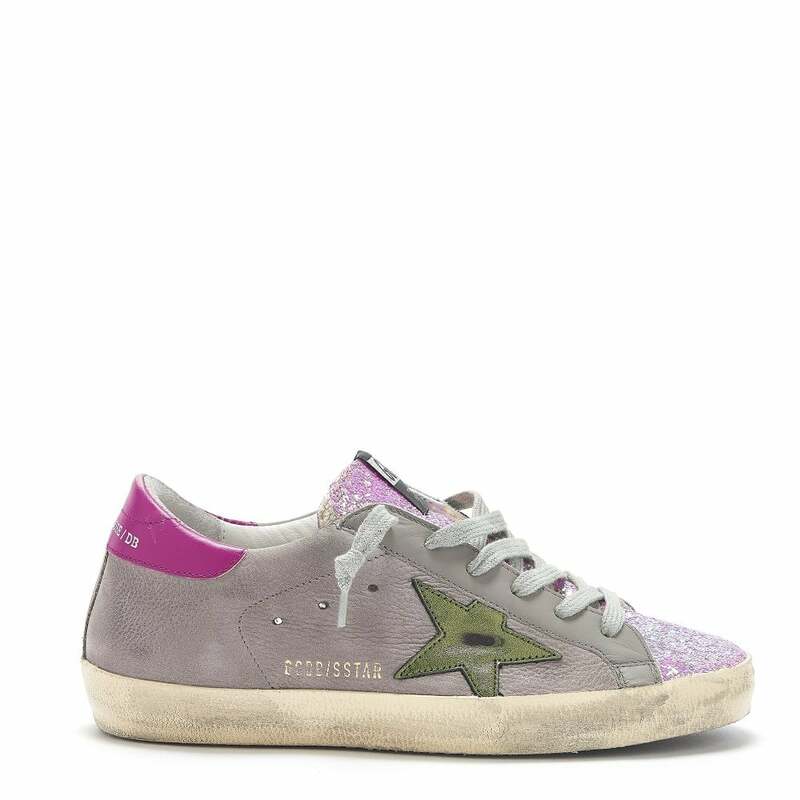 Golden Goose Deluxe Brand Superstar Sneakers in Grey: Update your spring dressing with these super cool sneakers from Golden Goose styled in grey distressed leather with a lilac sequin trim. Wear with the Stine Goya Aileen Pant in Palazzo Print and Baum Camilla Sweater in Milky Lilac. Wear the Inikka Choo Hans Mini Smock Dress in Lilac Blue.